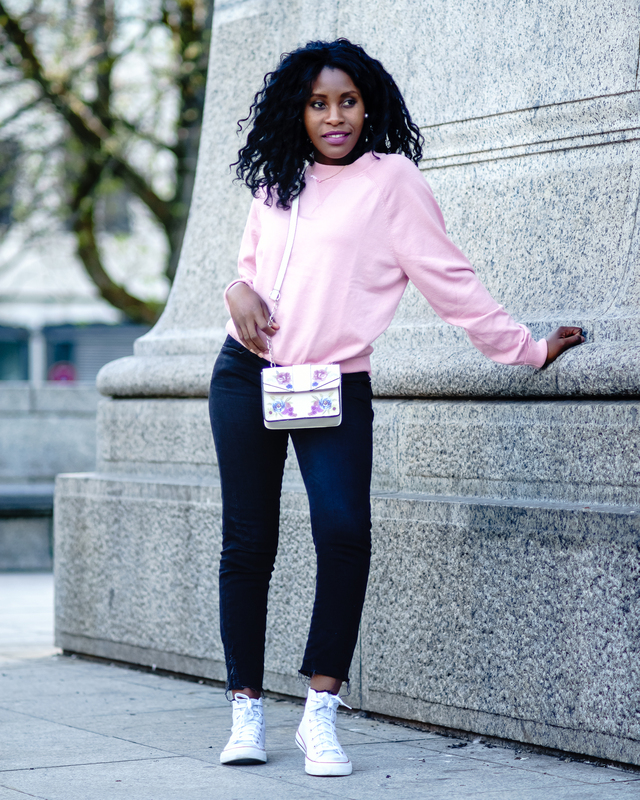 Casual in Pink – Sara K.
Pink is a yet another trend I personally liked this Spring. 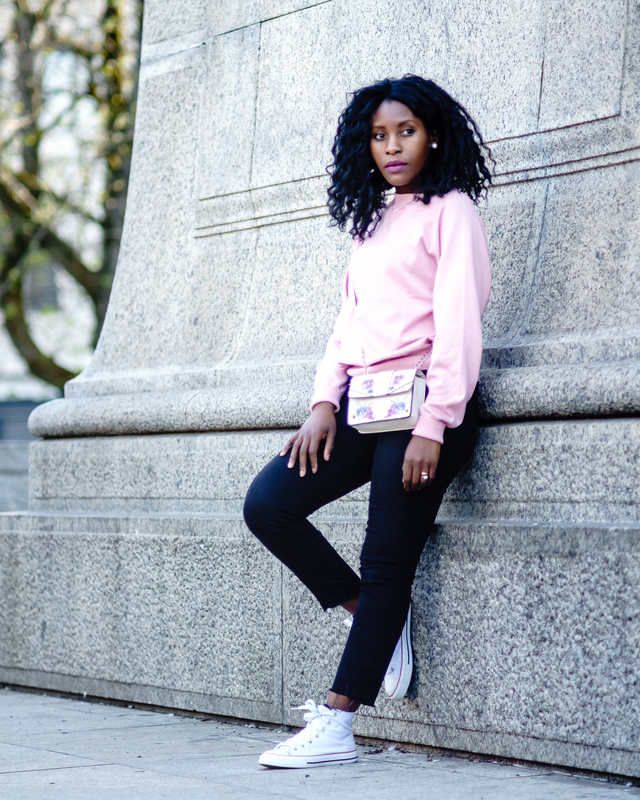 Pink in all its shades can be a charming colour, even though I actually don’t own many pink items – it can feel a bit too girly but I think there are cool ways to wear it. 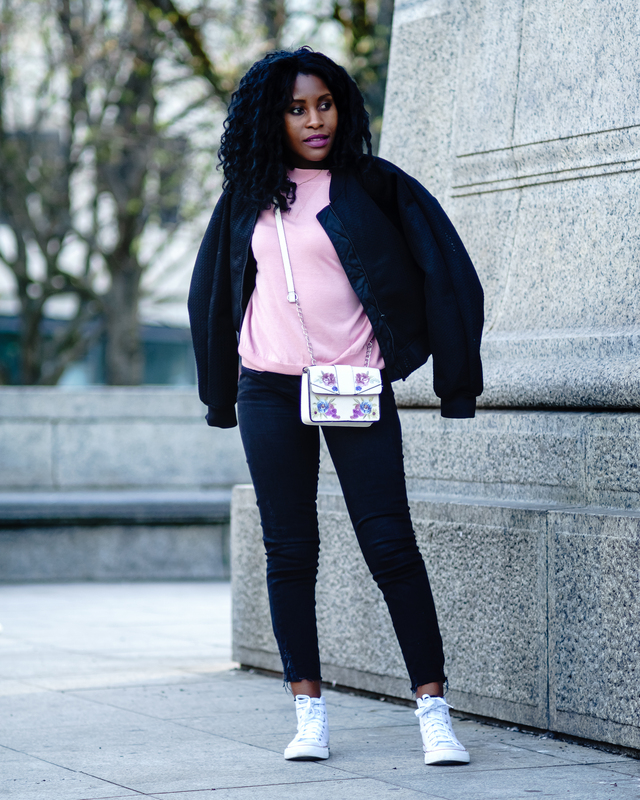 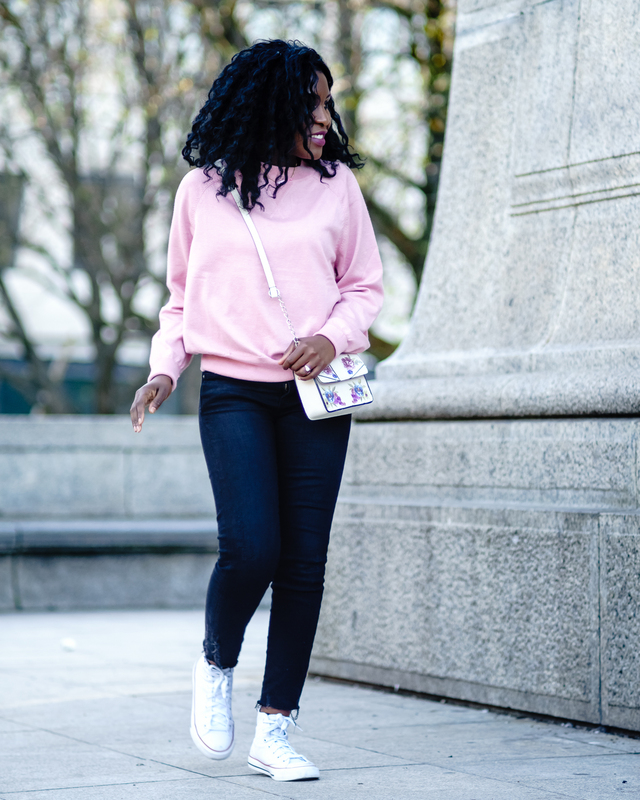 I went for a sort of pale pink and kept this look super casual, with black ankle jeans, sneakers and a bomber jacket. 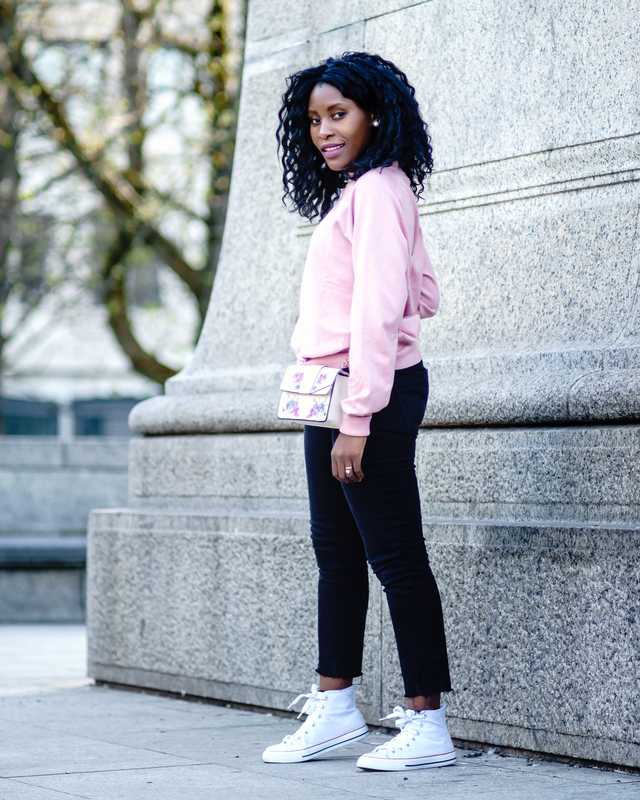 I threw on a floral crossbody bag … how cute is this bag. 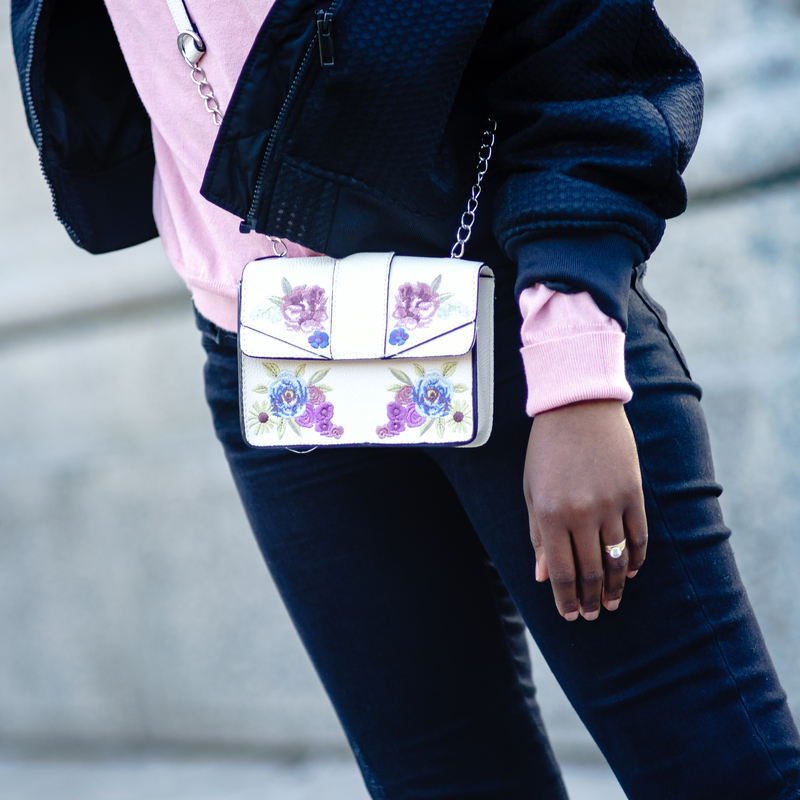 Florals so pretty for Spring and Summer months – what do you think? 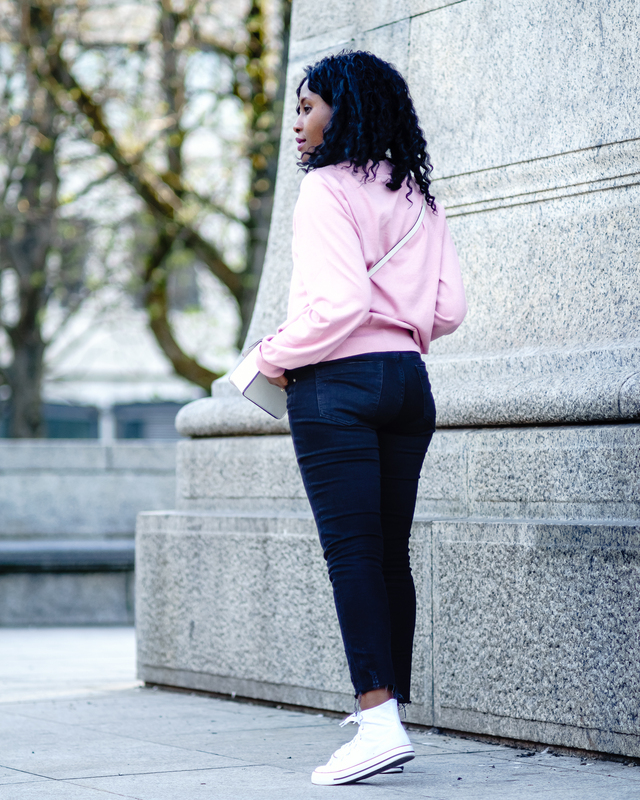 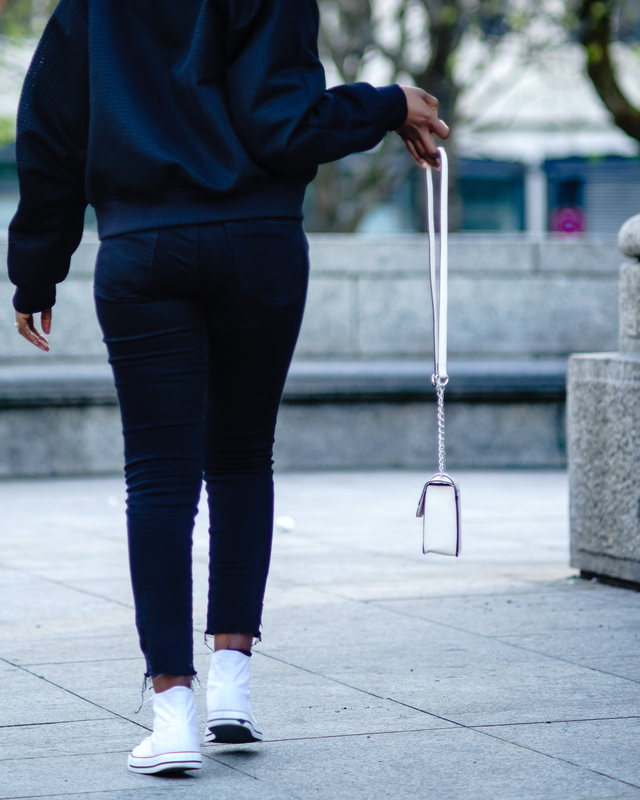 Let me know your Spring/Summer favourites.